While it may seem a little left-field, Emu oil is one of the latest hair loss therapies people worldwide are trying. As the name suggests, this oil comes from the flightless bird that you’ll only find in Australia. Much like fish oil, it’s rich in Omega-3s, which means it comes with plenty of health benefits. Although the modern hair loss community is only just catching onto Emu oil, the Aboriginal community has been using it for thousands of years. More recently, doctors who are open to natural medicine recommend using it to treat burns and reduce inflammation. In fact, the oil is even popular with athletes who want to tackle conditions such as shin splints. However, we’re here to investigate whether it plays a role in reducing hair loss. The evidence for its role in promoting healthier skin, hair, and nails is mounting, so we’re confident you can incorporate it into your hair loss regime. What are the benefits of emu oil for hair loss? As we’ve already mentioned, emu oil contains a lot of Omega-3s. As one of the world’s most coveted supplements, Omega-3s reduce inflammation, lower the number of bad fats in your blood, and may reduce depression. Because of its high Omega-3 content, emu oil promotes overall wellness. When you use it to tackle hair loss, you’re also decreasing your blood pressure, reducing your risk of heart disease, and you may even promote better bowel function. Some studies go as far as stating that having enough Omega-3s leads to better concentration, as they help with neurodevelopment during a child’s early years. In addition to Omega-3s, emu oil contains Vitamin E. Not only is Vitamin E an excellent moisturizer, but it also acts as an antioxidant that combats the free radicals you come into contact with every day through indoor and outdoor pollution. To add to Vitamin E, it also contains Vitamin A. Like Omega-3s, Vitamin A is a tremendous neurological aid. It enhances and protects your vision while promoting the neurotransmitters you need to focus throughout the day. Can emu oil slow down hair loss? If you want to slow down hair loss, having Omega-3s on your side is no bad thing. As an essential fatty acid, it works with your body to slow down the progression of alopecia. If you’re experiencing alopecia for reasons other than genetic factors, Omega-3s will slow down the progression. They achieve this by protecting and stimulating the hair’s follicles, giving them a better chance of slowing down hair loss. Medics believe this is due to the way Omega-3s reduce inflammation. As many dermatological scalp conditions associated with hair loss involve large inflammatory processes, this makes sense. As we’ve already mentioned, Vitamin E is an excellent moisturizer. At the same time, it also repairs damaged cells. Working alongside Omega-3s, Vitamin E can restore your hair cells’ vitality, slowing down the hair loss process. If you don’t have enough Vitamin A, you lack a substance that encourages your body to form glycoproteins. What are glycoproteins? They’re essential compounds that help cells communicate with each other, and they strengthen the cell’s membrane. Many beauty brands use them in their hair care products because they promote stronger and smoother hair. So, the hair that’s already growing on your head will strengthen and is less likely to fall out. Can emu oil regrow hair? Whether or not emu oil will help your hair regrow depends on the reasons for your hair loss. For example, if you’re experiencing hair loss due to a nutritional deficiency, using emu oil will work to your advantage, as it restores the nutrients you lack for a healthier head of hair. Now, one of the most common types of hair loss we see is ‘hereditary.’ In other words, if your mum or dad experienced hair loss when they were younger, you’re more likely to as well. Studies investigating the role of Omega-3s in regrowing hereditary hair loss are in their infancy, but so far they look encouraging. One study looked at using Omega-3s to tackle PCOS, which is a condition some women encounter, which sometimes leads to hair loss. 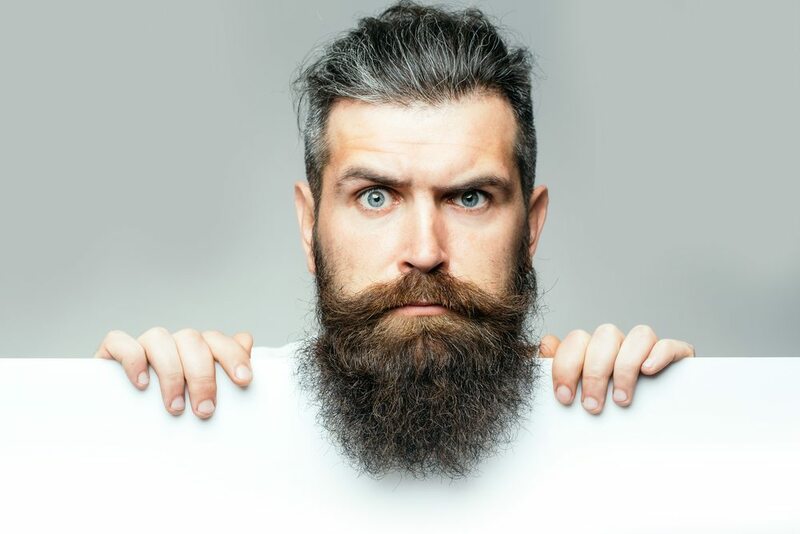 The results of this study suggested that Omega-3 supplements reduced the amount of testosterone present in these women, as well as any associated effects on their hair. As hereditary hair loss usually features an increase in testosterone, this suggests that emu oil could help regrow your hair. One paper published in the Journal of Research in Medical Sciences found that the antifungal and anti-inflammatory benefits of emu oil could tackle conditions such as seborrheic dermatitis. Because of this, it’s reasonable to assume that using it to soothe a scalp infection that stands in the way of you and hair regrowth, may prove useful. Alopecia is a condition that arises when your body’s immune system is struggling to meet its needs. As scientists over at Nature Reviews Immunology have aptly stated, “Vitamins A and D take center stage when it comes to immunity.” However, you do need to exercise caution. One sign of Vitamin A overdose is that your hair starts to fall out, so make sure you’re striking the right balance if you’re taking emu oil as a supplement. Is it safe to apply emu oil to your hair and head? As the modern world is only just investigating the use of emu oil for reducing hair loss, there aren’t many studies that tackle its potential side effects if you use it as a topical agent. However, as with any substance, you apply to your skin, the best way to ensure it’s safe is to try a test patch on the inside of your wrist. Similarly, if you’re pregnant or breastfeeding, discuss whether it’s safe to use emu oil with your doctor before using it. Finally, never apply it to any open wounds or blend it with other medical treatments you’re using. Otherwise, you can assume that emu oil is safe. If the idea of using this oil to tackle your hair loss is tempting, you need to try a DIY emu oil hair mask recipe. While oral supplements are available, applying it directly to your head tackles the follicles at the root. Before you begin, make sure you look into the oil’s source before purchasing it. Buying the purest product ensures the Emu hasn’t been exposed to cruelty during the manufacturing process, which in turn increases the oil’s benefits. Unlike a lot of hair mask recipes, this one is relatively simple. Just blend a ¼ cup of emu oil with a ¼ cup of coconut oil. Again, aim for organic coconut oil, as this ensures you’re experiencing the highest quality ingredients. Blend the two oils until they reach an even consistency and then apply it to your head straight away. You should now either let it soak in and then massage it, or massage your scalp and then let it soak for half-an-hour. Either way, the massaging element of the process allows the oil to penetrate further and increases blood flow to your scalp, which in turn promotes better hair growth. If you want to turn your DIY emu oil hair mask into a luxury experience, try adding an essential oil you love. Both peppermint and chamomile promote hair growth, and while one is invigorating, the other is relaxing. Select the one you prefer and add no more than two to three drops to maintain the mask’s consistency. Will you experience any side effects when using emu oil for hair loss? As we’ve already mentioned, there’s little evidence to suggest that applying emu oil directly to your scalp will produce unwanted side effects. Once again, try to avoid open wounds, as the oil may aggravate them while they’re healing. The same rule goes for most substances. However, emu oil accelerates how quickly your skin absorbs other elements, you should avoid applying it if you come into contact with poison oak. A quick search of the Drugs.com herbal database reveals that, so far, there are no adverse side-effects associated with emu oil. However, do bear in mind what we mentioned earlier about Vitamin A overdoses. If you take emu oil orally and you’re using other supplements, ensure they don’t go over your maximum recommended daily intake. Such intakes vary from person to person, but going over may make your hair fall out, which isn’t what we’re aiming for. While emu oil is simple, its ability to reduce hair loss and promote regrowth looks strong. Whether you use it as a mask or take the supplement orally, you could also enhance your cardiovascular health and boost your immune system. As with any other hair loss supplement, try to track your progress and watch out for side effects.